QUICK & FREE SHIPPING ACROSS THE U.S. Through Transdermal Technology, this formula penetrates deep into your skin for a faster, more effective delivery of pain-relieving compounds. Scientists have known the cause of joint pain for decades. The challenge has always been how to safely and effectively overcome it. 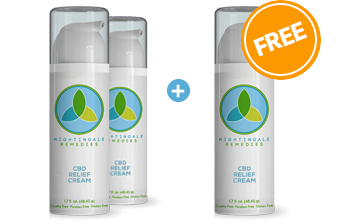 Now a revolutionary new product harnesses the power of a remarkable compound that scientists discovered works along with your immune system to deliver immediate relief from aches and pains. 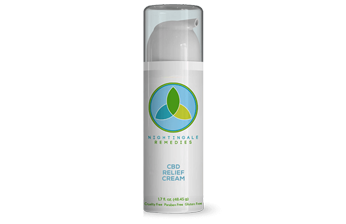 Nightingale Remedies Relief Cream is infused with certified organic Cannabidiol (CBD) oil and other natural ingredients. Works in conjunction with your immune system to naturally reduce pain and inflammation. 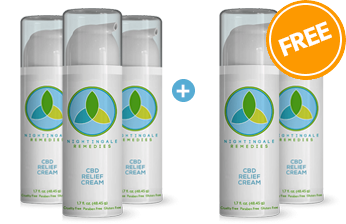 Topical treatment for muscle and joint pain relief is a common-sense approach allowing you to conveniently apply the solution to the source of pain. 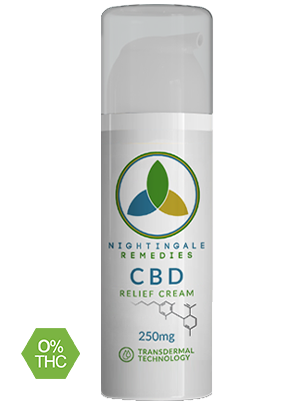 Nightingale Remedies CBD Relief Cream can be used to treat a wide range of conditions, including upper & lower back pain, arthritic pain, musculoskeletal pain, neuropathic pain, diabetes-related pain & sports-related pain. Acts as an analgesic and anti-inflammatory, inhibits muscle spasm and increases blood flow. High local concentration of compounds for targeted relief. 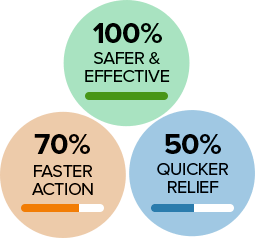 The topical application method significantly reduces the risk of dependence and addiction to pills. 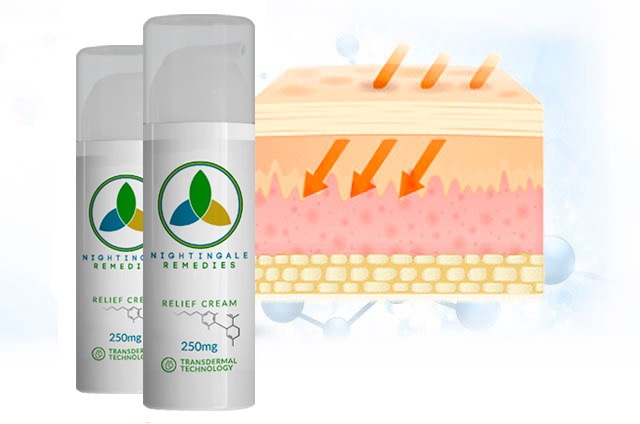 Topical Creams have fewer side effects than other pain formulas and eliminates some of the most common complications of NSAIDs (GI irritation and ulcers), opiates (constipation) and muscle relaxants (sedation). CBD works in the body by activating receptors in the brain and nervous system. It affects different receptors to THC and affects many receptors which are responsible for the regulation of many parts of the body's systems. Used in the Ayurvedic System, this herbal extract helps treat several inflammatory pains & aches. 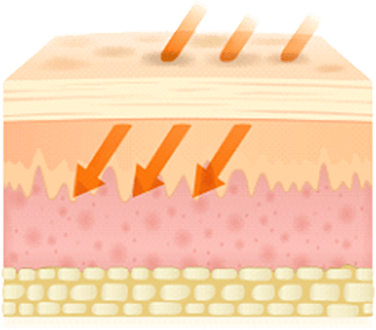 Works as a cushion that surrounds the joints to prevent damage and also facilitate quicker repair. Helps reduce inflammation and ease symptoms of arthritis, like pain and inflammation. Used to improve immune function, lower inflammation and help restore healthy bodily tissue. I've had bad knees and hips for years now. Going up stairs and standing up in the shower are usually painful for me. After using "Nightingale" for a few days I started to notice a difference almost immediately. There has been less pain in my lower body and as a result I've been able to stand up in the shower and get up steps with a lot less breaks. Having had suffered arthritic hands for some years, I became accustomed to the inability of straightening my fingers. After I massaged a small bit into my hands, almost immediately, my fingers were able to straighten! It was magical and the effects lasted a few days. This product is amazing and should not be overlooked for it contains healing powers. SELECT YOUR PACKAGE TODAY & SAVE MORE! 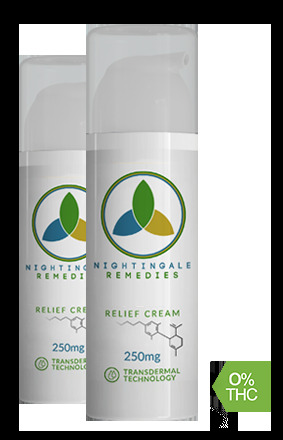 Nightingale Relief Cream is not meant to treat or cure any disease. This statement has not been evaluated by the Food and Drug Administration.This product is not intended to diagnose,treat,cure or prevent any disease. 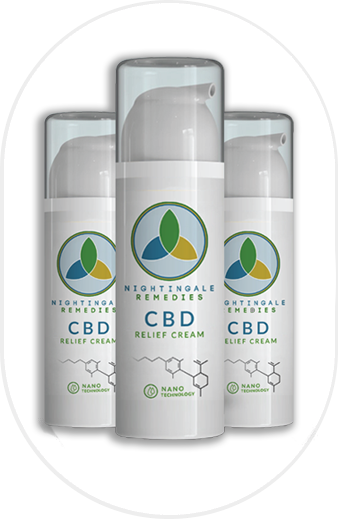 The Hemp Extract in Nightingale Remedies Relief Cream is a natural constituent of industrial hemp plant and legally imported. 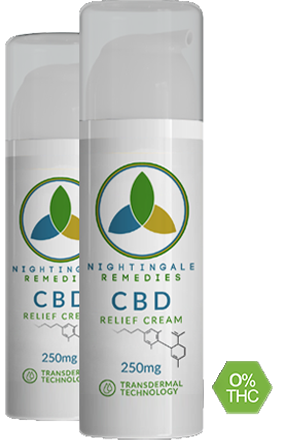 Nightingale Remedies does not sell or distribute any products that are in violation of the United States Controlled Substances Act (US CSA). Leaving Our Website Disclaimer: If we have a research link to another website, the Exit Disclaimer indicates that when you click the link you will leave the website and visit an external link. Links to any informational websites are provided solely as a service to our users. External links provide additional information that may be useful or interesting and have no affiliation to the promotion, sale and distribution of Nightingale Remedies products. The link does not constitute an endorsement of these organizations by Nightingale Remedies and none should be inferred. 1 J Manzanares, MD Julian, A Carrascosa, “Role of the Cannabinoid System in Pain Control and Therapeutic Implications for the Management of Acute and Chronic Pain Episodes”, National Center for Biotechnology Information.https://www.ncbi.nlm.nih.gov/pmc/articles/PMC2430692/ . 2Crippa JA1, Zuardi AW, Garrido GE, Wichert-Ana L, Guarnieri R, Ferrari L, Azevedo-Marques PM, Hallak JE, McGuire PK, Filho Busatto G, “Effects of CBD on regional cerebral blood flow”, National Center for Biotechnology Information. https://www.ncbi.nlm.nih.gov/pubmed/14583744 . 3C Reiling, “CBD and your inflammation”, Aceso. https://www.myaceso.com/blogs/blog/cbd-and-your-inflammation . Online shopping with Nightingale Remedies is 100% safe. Our site uses a Comodo SSL certificate that insures your information is 100% safe. Your Satisfaction is 100% Guaranteed. If you are dissatisfied with any merchandise from Prince & Flower for any reason, simply return the product within 60 days for an easy refund of your purchase price, excluding shipping and handling. Follow return information which is shipped with each package. Send all returns to the address indicated on your packing slip/invoice. We suggest you ship returns to Prince & Flower via a GROUND method that can be tracked (UPS ground / FedEx Ground / USPS Priority mail). – No other paperwork, invoice, or preauthorization is needed for your return. Once your return is received, it will be processed within 10 business days. Prince & Flower will not be responsible for loss or damage of return shipments. A credit will be issued to your original method of payment for the full purchase price of your order excluding shipping and handling and any separate fees. Credit will be issued within 5-7 business days of receiving your returned item. 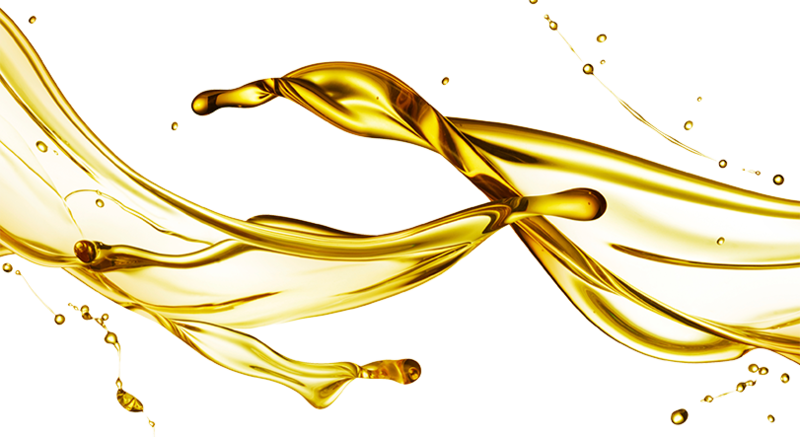 By accessing the website, you warrant and represent to Nightingale Remedies. (referred to as “website owner”) that you are legally entitled to do so and to make use of information made available via the website. The website owner makes no warranties, representations, statements or guarantees (whether express, implied in law, or residual) regarding the website. However, if expressed on the website, the website owner may offer warranties or guarantees on products delivered. If at any time you would like to unsubscribe from receiving future emails, you can email us at unsubscribe@nightingale-remedies.com and we will promptly remove you from ALL correspondence.